Vita Column Horizontal is available from stock in RAL 9016. The colours shown are reproduced as accurately as this process will allow and can be made to order on the identified products. The Vita Column is available in white (RAL 9016) as standard. The new Vita Column Horizontal adds a timeless classic design to the ever popular Vita Series. Perfect designs for both contemporary and traditional interiors, the Vita Column Horizontal is available in a range of sizes that will see these beautiful radiators matching virtually any space in the home. 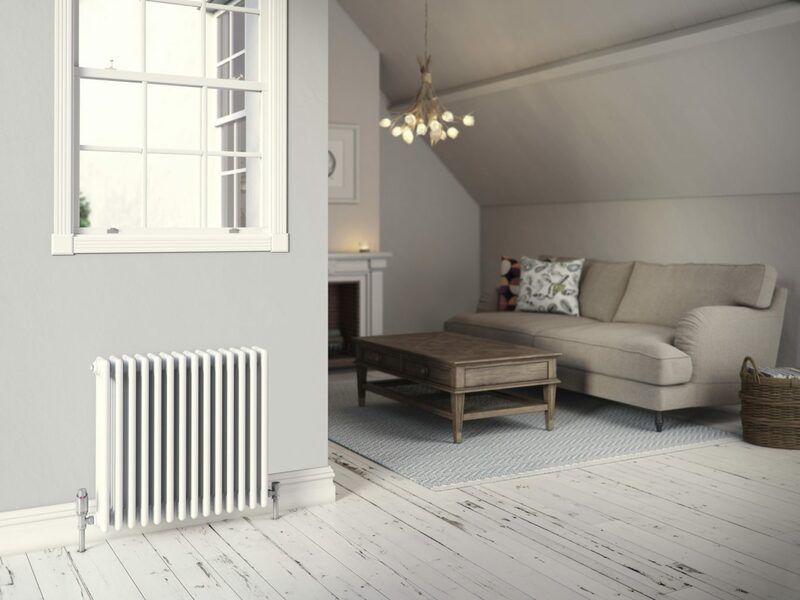 Featuring 2,3 and 4 columns and up to 600mm height, all coming with a five-year warranty – these are a classic addition to the already comprehensive Vita Series that is taking the UK radiator marketplace by storm. Beautiful radiators to match any space.